Recent research sheds light on relations among bamboo species and how the plant reacts to climatic factors. Between March and April, 2013 two key papers were published that have significantly improved our understanding of the evolutionary relationships among bamboo species and the genetic history of bamboo. Scot Kelchner and the members of the Bamboo Phylogeny Group (BPG), as reported in Molecular Phylogenetics and Evolution, bring much needed clarity to the relationship among bamboo species, genetically identifying 4 groups: temperate woody, old-world woody, new-world woody and herbaceaous bamboos. In addition, Zhenhua Peng et al, as reported in Nature Genetics, sequenced the genome of Moso bamboo (Phyllostachys heterocycla var. pubescens). Commercially the most widely used among bamboo species, Moso belongs to the temperate woody bamboos. Studying 33 bamboo species and 7 ‘outgroup’ species of the grass family to which bamboos belong, Kelchner et al identified the four groups of bamboos mentioned above. Their research revealed that the bamboos (Bambusoideae) are closest to the sub-family that contains wheat and barley (Pooideae) and relatively close to the sub-family that contains rice (Ehrhartoideae). Temperate bamboos (a.o. the genus Phyllostachys, including the species Moso and the genus Arundaria) are genetically more distinct as a lineage than other bamboo tribes. The non-woody herbaceaous bamboos include more than 100 species and are not very important commercially. The new world tropical woody bamboos include important species such as the Chusquea’s and the Guadua’s. The final group is the tropical woody bamboos of the old world, including the Bambusa’s, the Oxytenanthera’s and the Melocanna’s. The authors caution that although this separate grouping of the new world and the old world tropical woody bamboos looks very plausible, it still needs further confirmation. In addition, while the temperate woody bamboos are clearly different from the other three groups, there are few genetic differences among the 9 representative species in the study; this might be improved with further study. The very limited genetic variation in temperate bamboos also suggests that differentiation between these bamboos occurred relatively recently. Like the BPG, Peng and his team, including INBAR co-chair, Jiang Zehui, confirmed that the Moso genome is quite similar to that of other grasses (Nature Genetics). The research of Peng and colleagues further elucidates that bamboo may have separated from the wheat and barley sub-family about 47 million years ago, from the rices 49 million years, and from the sorghum and millets 65 million years back. Furthermore, they postulate that the genome of the progenitor of ‘Moso’, and possibly all bamboos, underwent duplication 7-12 million years ago, implying that each gene would now be present in four copies rather than two. This so-called polyploidy (the condition of possessing more than two complete sets of chromosomes) is a quite common among grasses and often becomes a source of extra variation, helping the organism to evolve and adapt to its environment. Peng and colleagues also showed that the genes on the Moso bamboo genome appear similarly organized to that of rice and sorghum. This so-called syntheny between crops is very important for our understanding of bamboo and its reaction to its environment. In fact, because bamboo flowers so infrequently, making it very difficult to cross breed, it is almost impossible to study the interaction between the genes of bamboo and the environment. However, because we now know that the genetic organization of bamboo is quite similar to that of plants such as rice and sorghum, we can use parallels with these well-researched crops to guide future experimentation with bamboos. Flowering in bamboo is one of its great mysteries. Many bamboos can take between 7 and 120 years to flower, and many die in great numbers after flowering and seed production. What triggers flowering in different bamboos is not known, but obviously has great importance for bamboo cultivation. Interestingly, in addition to the analysis of the DNA of Moso bamboo, the Chinese team also applied RNA sequencing to flowering tissues of Moso. While DNA analysis results in a list of genes, RNA analysis gives information about which genes are active. The research revealed that there was little sign of activity of those genes that are commonly involved in the inducement of flowering in grasses, such as those genes linked to day length sensitivity, the production of the plant hormone gibbereline (a hormone usually produced in a plant when it changes from a vegetative state to the flowering stage), and light quality. However, more than normal activity was found for stress-responsive genes. It turned out that the plants from which the flowering tissue had been collected had suffered from drought just two months earlier. Peng et al suggest a potential connection between drought response and flowering for Moso, but caution that many more experiments are needed to identify the mechanisms underlying bamboo flowering in general. Together these two papers provide the bamboo world with a much greater understanding of the genetics of the bamboo family. This helps us to better understand how the plant reacts to climatic factors, and also which species are related and therefore may share common characteristics, including flowering habits, and adaptive traits such as reaction to drought and temperature stress. The genetic analysis provides us with insights and opportunities for further exploration from within the bamboos, but also with related grasses such as rice, wheat, sorghum, etc. The application of this knowledge is not only relevant for all bamboo growers, but also for all other bamboo stakeholders – from processors to traders and consumers. 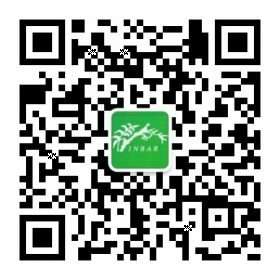 While INBAR, as a network, concentrates on action research, capacity building and policy support, and therefore is not usually involved in deep-delving science such as presented in these papers by the Bamboo Phylogeny Group or the team of Peng Zhenhua, we look forward to their future reports and hope and expect they will continue to enrich our knowledge and improve the application of bamboo for inclusive and green development.